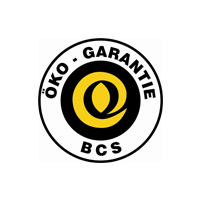 In 1992, BCS OEKO-GARANTIE GmbH became the first German certification body registered under the Organic Regulation of the European Union (EEC 2092/91). Since that time, Kiwa BCS OEKO-GARANTIE has become very well established in the European market and has gained a strong international presence. According to a rough estimate, Kiwa BCS is involved in the certification of approx. 35% of all organic products in Germany. Kiwa BCS certifies about 450,000 operators in about 70 countries worldwide and maintains offices and local representation in Latin America, Europe, Asia and Africa. Our client base encompasses all sectors of the organic industry, including farmers, processors, (re-) packers, importers, exporters and warehousing companies. Our services are also frequently requested by other well-established certifying agencies that seek to complement their range of product offerings. OSKSA (Organic Standard Kingdom of Saudi Arabia). Thanks to our sister company Kiwa International Cert GmbH we can offer our customers certifications of management systems, social and sustainability auditing in a one stop shopping. Kiwa International Cert GmbH is accredited by DAkkS and offers you certifications according to DIN EN ISO 9001, DIN EN ISO 22000, DIN EN ISO 22000 FSSC, DIN EN ISO 14001, DIN EN ISO 50001, OHSAS 18001, SCC. Our name and services are well-recognized in the EU and worldwide and help you maintain sustainable business based on trust and confidence in the brands and products certified by us. This is your benefit in for your import process and market access. Kiwa BCS OEKO-GARANTIE – celebrating its 25th Anniversary in 2015 – is one of the pioneers of the organic movement in Europe. The motivation of Kiwa BCS is to provide clarity and transparency for the consumer. To assure our independence we are not a member of relevant organizations / associations and we aren’t financially supported by such ones. We avoid closer contacts to certified companies. All staff members have the obligation to follow the principles of impartiality, objectivity and neutrality. Control is a need for the protection of serious producers and providers and trusting consumers and thus for the credibility of the organic production in general. Kiwa BCS OEKO-GARANTIE is committed to support the growing organic marketplace by maintaining the consumers’ confidence in the conformity with the organic guidelines along the complete supply chain from producer to the consumer.